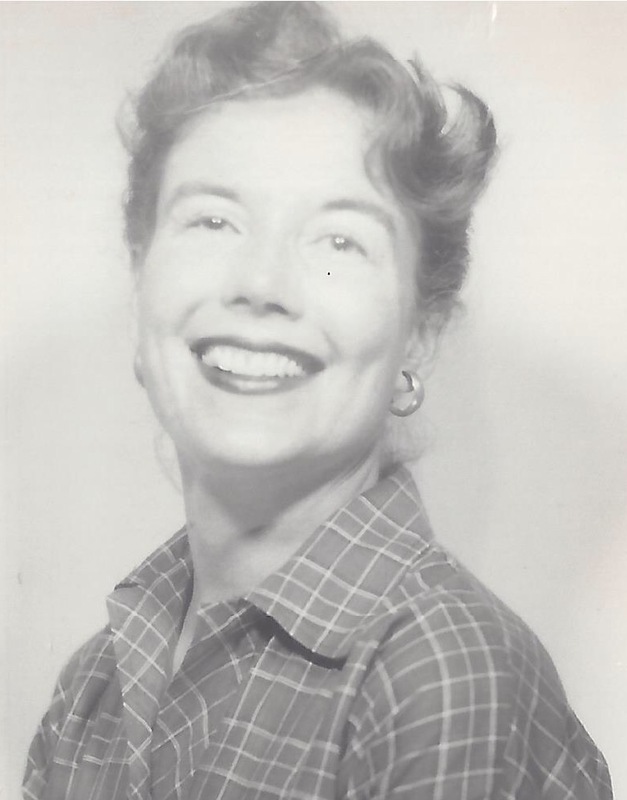 Dorothy Louise Zarbin, 92, of Phoenix, AZ, passed away on Mother’s Day, May 10, 2015, in Gilbert, AZ. She is a descendant of Benjamin Franklin Johnson and the granddaughter of early Arizona settlers, Lionel Brand Johnson and John Thomas Vance. Dorothy was born to George Lynn Johnson and Alta Mabel Vance Johnson on March 13, 1923, in Mesa, AZ, and was herself grandmother to 20 and great-grandmother to 16 children. Dorothy was George and Alta Johnson’s third child, and was delivered by her grandmother, Sarah Vance, a midwife in Arizona. (Alta Johnson’s first two children, Virginia Lynn Johnson and Vance Dean Johnson, died within a week of each other in January and February 1922, respectively.) A fourth child, Patsy Ann Johnson Espinoza, was born March 17, 1931, and died in 2012. Dorothy earned her bachelor’s degree in Education at Arizona State University and was a lifetime member of the Alumni Association. One of her granddaughters expressed beautifully her grandmother’s role: “She was a second mother to me and taught me to view the world in a different light and to appreciate the little things…but most importantly she was always there for me. She was a true example of what a Christ-like, selfless woman is.” Though talented as an artist, writer and editor, Dorothy’s primary role was in supporting and encouraging the family breadwinner. Her first marriage was to Raymond Doral Wheeler. Her second marriage was to Earl Zarbin, who was a Phoenix newspaperman at the time they were wed. Earl and Dorothy have been married 41 years. Her children are Monte (Judie) Wheeler of Chandler, AZ; Shelley (Raymon) Wheeler Christensen of Moccasin, AZ; Denei Kelleen (Milt) Zarbin Pace of Gilbert, AZ, and stepdaughters Cathryn Ellen (Bill) Bauer of Glendale, AZ, and Elizabeth Claire of Tempe, AZ. Dorothy, a lifelong member of the Church of Jesus Christ of Latter-day Saints, was preceded in death by twin daughters, Molly Lynn and Sara Lisa Wheeler, who were born Aug. 14, 1954; three stepchildren, Gregory Zarbin, Nicholas Zarbin and Jennifer Zarbin; and a granddaughter, Emily Jean Christensen. Viewing will be from 10:30 to 11:15 a.m. Saturday, May 16, at the LDS Tempe Ward Chapel, 1221 W. Howe St., Tempe. Funeral services will follow at 11:30 a.m. Interment will be at the Mesa City Cemetery. Arrangements by Bunker’s Garden Chapel.